There is a shift in materials simulations from ideal single crystals to crystals made of several grains, with boundaries resulting in interest in automated approaches to sample preparation from many directions. Its part of my EU FP7 SimPhoNy project, and included in some of our modules (especially NCAD, not yet published). A recent manuscript by P. Lazic presented a code (CELLMATCH) to combine to unit cells into a supercell for a graphene system, and its substrate with DFT calculations with VASP. We need this in order to study grain boundaries in helium HCP crystals. Boundaries can be between grains whose orientations are tilted or twisted. 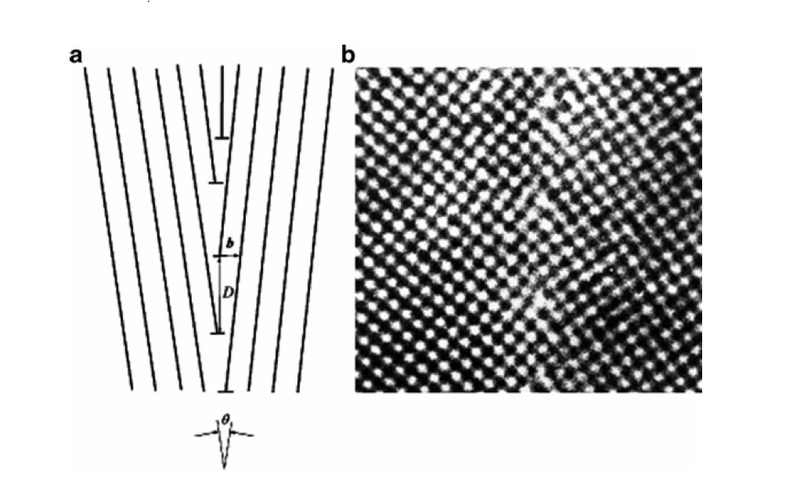 Tilted is shown at left, from ``Grain Boundary Segregation on Metals'' by P. Lejcek, Springer, 2010.